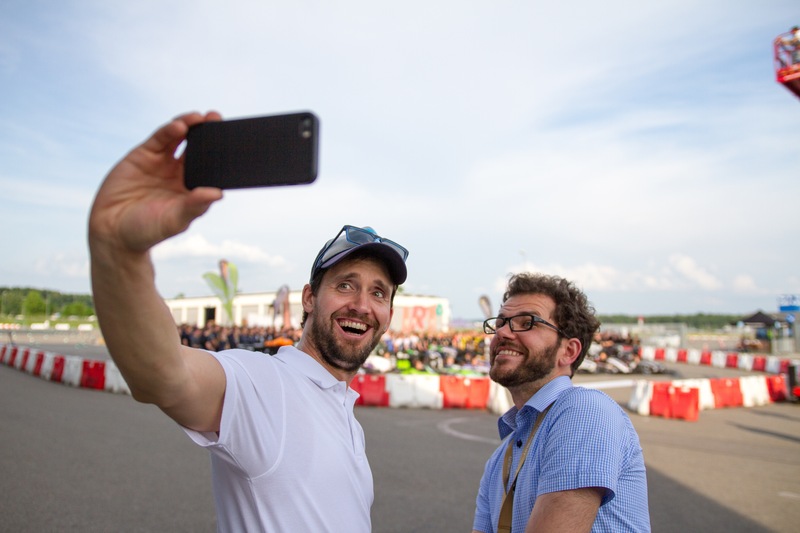 Ten years of ZF Race Camp – and we have been there since the beginning. The camp is traditionally our first event in the season and it’s also the first chance to compare our car with the strongest competitors in Formula Student. Over 30 teams from 5 different countries attended the camp this year that also included the first time for the newly created Formula Student Driverless cars. After scrutineering and brake test, we used the time on the track to let new drivers get used to driving a Formula Student car in our GFR15e on Thursday. Due to the fact that other teams also had the idea to use the well prepared race track we could not finish the testing program for this day, so we continued with the driver training. Friday was our day of static events. In the morning we could convince the judges of our Business Plan concept, while our designers got important feedback in the Design Event with our GFR17e in the afternoon. To not lose any testing time, a small group of team members continued to test with GFR15e. As always, the BBQ closed all static and dynamic events. Time to celebrate the 10th anniversary of ZF Race Camp. With the other six teams that participated in 2008, we created a jubilee shirt for ZF to say thank you for ten years of continuous support.